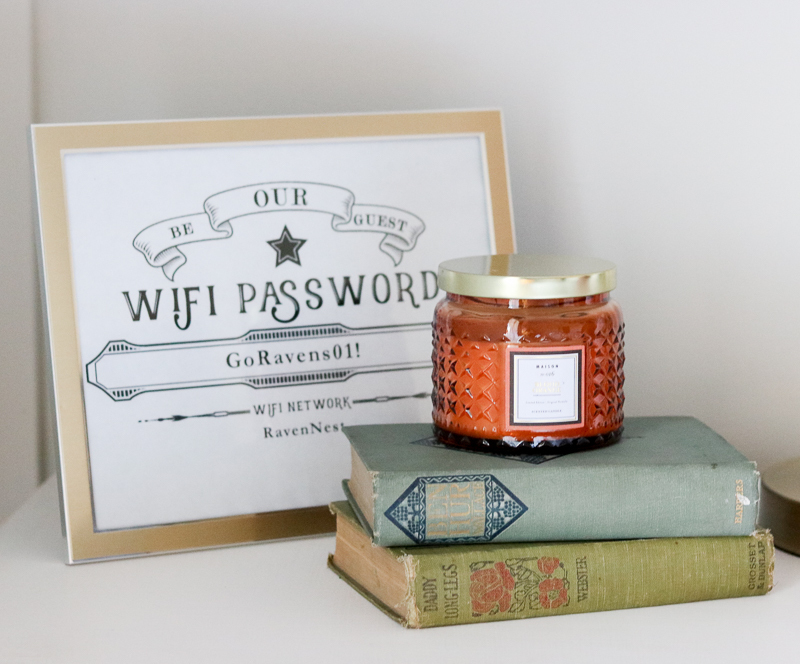 Free Editable WiFi Printable - Sincerely, Sara D.
Today I’m sharing a free editable WiFi printable. 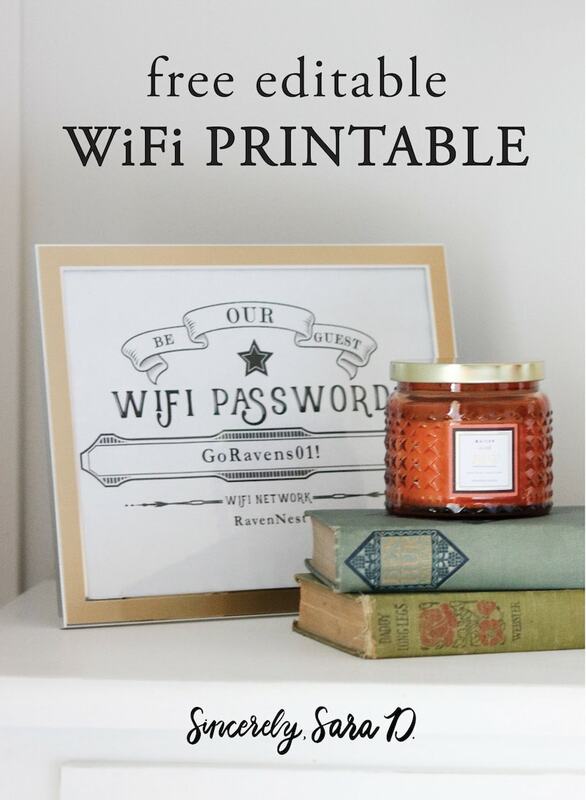 This printable is great because you can share your wifi network and password with your guests. 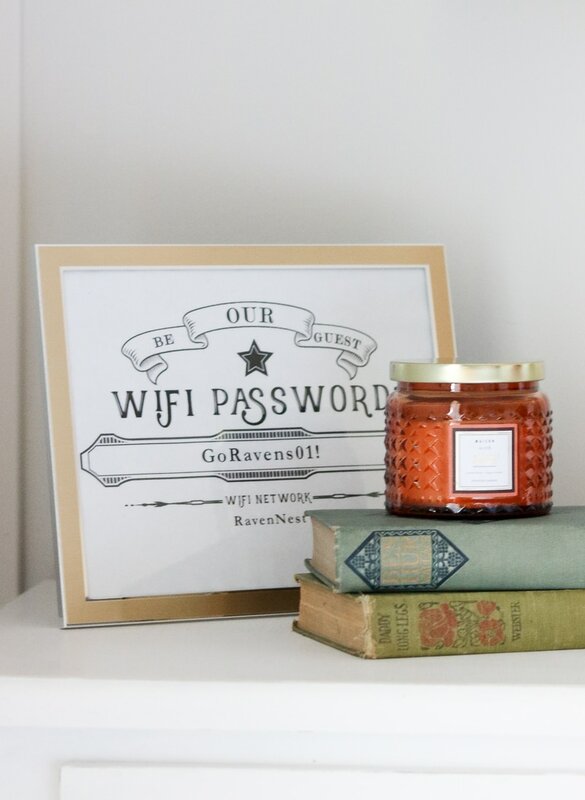 It’s perfect for a guest room or a party where visitors will want or need internet access. It’s so easy. Just download the file, customize it, print it and drop it in a frame! Or, you can get a little more creative and print it on colored paper. And depending how creative you want to be, you can also make your own frame. 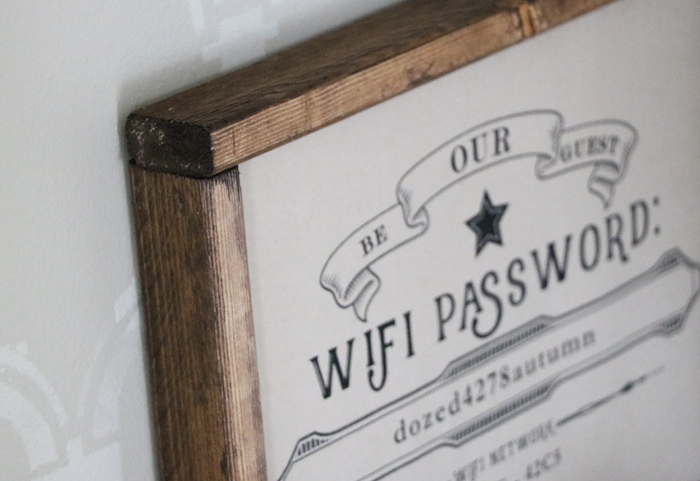 See how to make my DIY rustic wooden frame by clicking HERE. 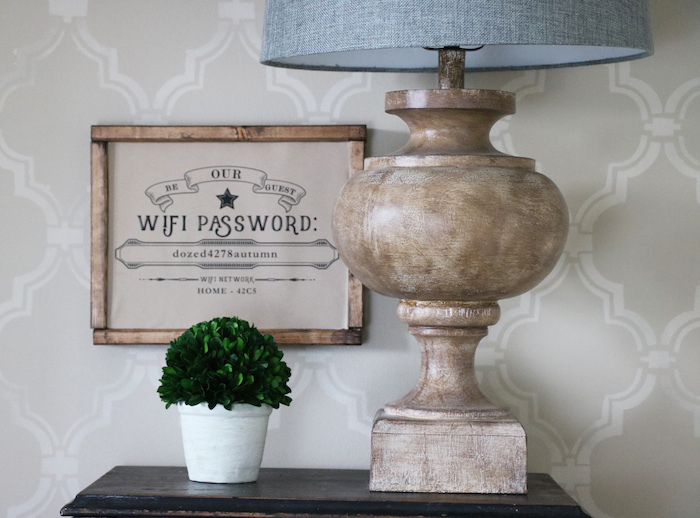 If your password changes over time (as it should, for security’s sake), just update your file with the new password (and/or network) and drop the print in your frame! 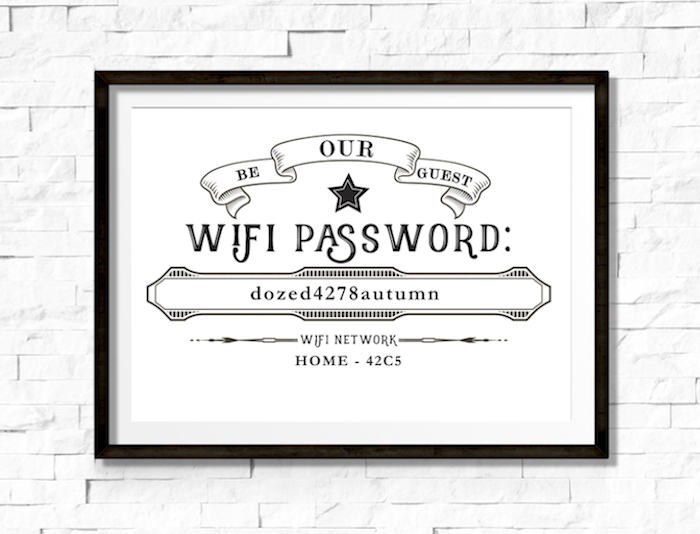 You could also put the print in a frame with glass or acrylic in it, and use a dry erase marker to write in the password, if you’d prefer. *All Sincerely Sara D. printables are for personal, non-commercial use only. Use it, gift it, but don’t alter it, sell it or otherwise distribute the print or the file.